“A brand is a set of promises. 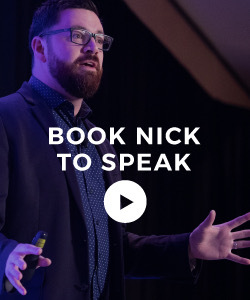 If you break that, you hurt the brand.” With a storied career in advertising including his current gig as co-founder and creative director of the Velocity Partners agency, Doug Kessler has spent his career helping brands create and communicate promises to their communities. 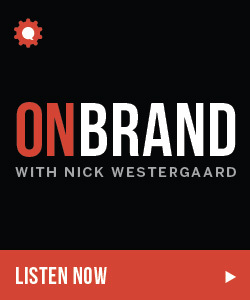 This week, Doug stopped by the On Brand podcast for a chat about content, creative, and strategy. Doug Kessler is co-founder and creative director of Velocity Partners, the London-based B2B content marketing agency — and Content Marketing Institute Agency of the Year. 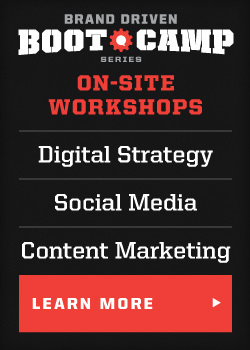 Doug has written a lot about content marketing including the B2B Content Strategy Checklist, Insane Honesty in Content Marketing and Crap: Why the Biggest Threat to Content Marketing is Content Marketing. 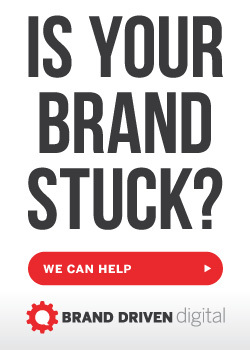 Create a content brand. 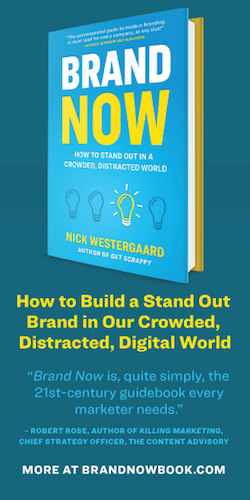 You have to be more than just a brand builder and a content creator. You have to develop a content brand. But it’s harder and harder to hit a home run. What brand has made Doug smile recently? “A B2C example is Everlane for their radical transparency in their supply chain and their margins. Thank you! For B2B, I’d say GE.” Doug then reminded us of their Hammer ad (below). To learn more about Doug, check out the Velocity Partners website and follow Doug on Twitter. Recently Matt Reno gave us a shout on Twitter for our episode featuring Brad Flowers. Specifically, Matt said he “poured some bourbon, opened the sketchbook, and chilled while listening to an insightful branding podcast.” Thanks for listening, Matt! This entry was posted in Podcast and tagged b2b content, b2b marketing, content creation, content marketing, doug kessler, velocity partners. Bookmark the permalink.